The Belmont Sports and Recreation Club is only a 20-minute drive from the Perth CBD. The entrance to the Belmont Sports and Recreation facility is via Keane Street. Water is provided throughout the day. NOTE: To make sure you have enough time to comfortably sign in and complete enrolment documents, please arrive 15 minutes prior to your course commencement. You will need your USI number with you at the time of enrolment. At Australia Wide First Aid, we pride ourselves in being an innovative leader in the country’s first aid industry. 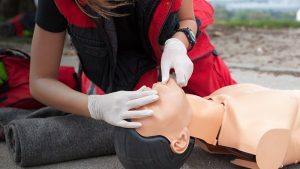 The courses we offer are strictly aligned with Australian and New Zealand Committee on Resuscitation (ANZCOR) Guidelines, and we sport a roster of qualified, highly experienced trainers and assessors who are proficient in administering first aid. One of the reasons we’re considered “innovative leaders” is our innovation of bringing top-quality first aid training to anyone in Australia. We are a Registered Training Organisation (RTO 31961), and every statement we issue upon completion of first aid training will be recognised throughout the country. We offer a variety of first aid courses, and they are taught with enough flexibility to suit the needs of our students. We have courses that are available for booking 7 days a week, and certain courses are streamlined for completion in 1 day. You may also opt to arrange face-to-face first aid trainings with us in your own home or workplace, and we can adapt the modules for proper completion in your chosen environment. As of current time, Australia Wide First Aid holds first aid training in 20 different locations across the country. One of our key locations in Perth, the capital city of Western Australia, is in Belmont. The Belmont Sports and Recreation Club is only a 20-minute drive from the Perth CBD, and will serve as the perfect convergence point of students living in the areas of Bayswater, Canning Vale, and the Western Suburbs. It won’t be hard to find street parking within the centre’s roomy grounds. We welcome new learners hailing from the fourth-most populous city in Australia, looking to use these helpful new skills to the benefit of the community. First aid is the act of extending help to a sick or injured person before full medical assistance becomes available. The three basic principles of first aid, or the 3 P’s, are: to preserve life, to prevent further injury, and to promote recovery. Often, the decision to act in situations of dire emergency can spell the difference between life and death. Knowledge of administering first aid should be available to everyone. The more people equipped to be first-aid responders, the safer, healthier, and more compassionate the entire Australian community will be. Would-be first aiders will learn the theoretical and practical aspects of applying first aid. In the process, they will also be taught the right mindset, skills for assessment and decision-making in different situations, and the mental strength and fortitude to deal with the stress of a medical emergency. What Are the Key Benefits of Learning First Aid? There are several benefits to completing a first aid course and acquiring certification. You will, of course, be better equipped to help out in case an emergency unfolds in your home, school, or workplace. You’ll have both the accurate knowledge and technique at your disposal, and you’ll also have the confidence to step in and take control of the situation. In the absence of medical personnel, the presence of someone who knows what to do and how to act will calm everyone down and make the situation easier to handle. Beyond such dire situations, you can also apply what you learn from your first aid courses in your everyday life. You can use the knowledge when you’re drafting evacuation plans, assessing your home or workplace for hazards, or even preparing your family members for travel. In some workplaces, first aid knowledge is a prerequisite for employment. Take advantage of Australia Wide First Aid’s convenience and accessibility and enrol in its programmes while you have time. You’ll receive your Statement of Attainment in the same day you complete your chosen course. This will be a quick and substantial boost to your chances of being employed. In other words, learning first aid will yield some important benefits. Your knowledge of first aid will help you become a better leader, a team player, and a responsible and compassionate member of your community. Are You Qualified to Become a First Aider? You will become a qualified first aider when you receive a statement of attainment from Australia Wide First Aid, certifying that you have completed all the required units of your chosen first aid module. Australia Wide First Aid can help confer qualifications specific to each learner’s needs, such as for first aid skills applied in an education and care setting. 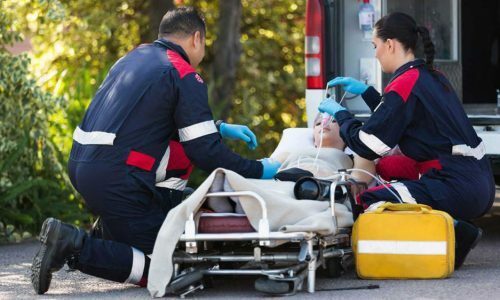 To enrol in a first aid course with Australia Wide First Aid, a student must be able to provide a Unique Student Identifier (USI) before their course commences. Students who are under 18 years of age are required to submit a Parent/Guardian Authorisation Form. The minimum allowed age for students attending first aid courses is 14 years old. What are the First Aid Courses Offered in Belmont? This is a 3-hour course that will equip students with knowledge and practical skills in applying cardiopulmonary resuscitation (CPR). The course covers how to read and respond to cardiac emergencies. 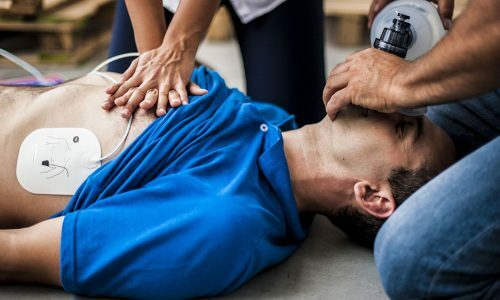 This is an express 2-hour course on how to confront cardiac emergencies and how to use a tool like an automatic external defibrillator. This thorough 8-hour course can serve to fulfil minimum requirements of workplace first aid compliance. It was previously known as Apply First Aid and is also known as Senior First Aid. It covers first aid response, life support, and management of casualties, among others. This is an express 5-hour course that also fulfils the minimum requirements of workplace first aid compliance. This is a comprehensive 9-hour course that specialises in emergency response for the education and care settings, fulfilling the requirement of the Australian Children’s Education and Care Quality Authority (ACECQA). This is the 6-hour express counterpart of Emergency First Aid. It will include teachings on first aid, anaphylaxis management, and emergency asthma training, among others. 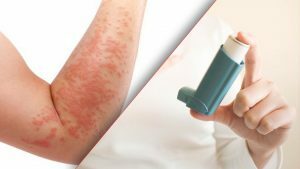 This is a 4-hour course that takes up all particulars of anaphylaxis management and emergency asthma training, helpful to workers in schools, day cares, and other education and care environments. Includes: Course in the Management of Asthma Risks and Emergencies in the Workplace (22282VIC), and Course in First Aid Management of Anaphylaxis (22300VIC). 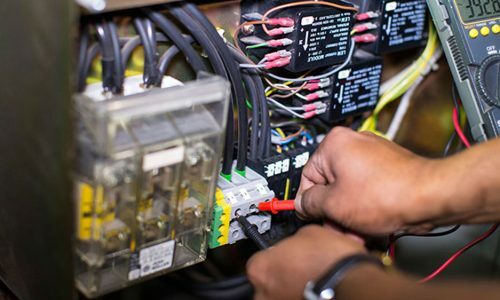 This is a 5-hour course that features CPR training and the performance of a low-voltage rescue procedure. Includes: Provide cardiopulmonary resuscitation (HLTAID001), Perform rescue from a live LV panel (UETTDRRF06B). Before you show up to your chosen course, Australia Wide First Aid will require you to read its e-manual. You’ll receive this file as soon as you complete your booking. Please read the manual in order to make your first session a fruitful and engaging one. Our regular and express courses offer the same measure of qualification. 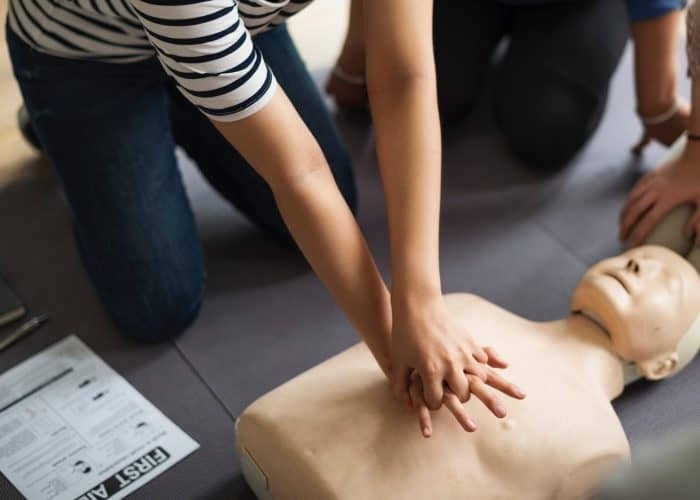 For example, the CPR and Express CPR courses constitute the same knowledge and skills, but the latter is streamlined to be finished in a shorter amount of time. You can opt for the fast-tracked courses if you would like to complete first aid training but are pressed for time because of work or school. Students who want to enrol in an express course must provide proof that they have completed the equivalent regular course beforehand. 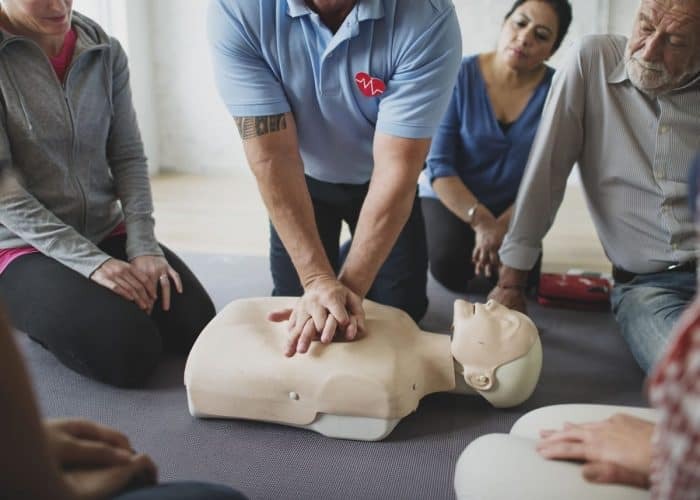 To enquire about Australia Wide First Aid’s training courses in Belmont or to ask us about how to set up a group booking in your home, school, or workplace, give us a call at 1300 336 613 or email info@australiawidefirstaid.com.au. We are a registered training organisation (RTO No. : 31961), providing you with accredited first aid training and quality first aid supplies. © 2019 Australia Wide First Aid. All Rights Reserved.